Somehow, if you managed to watch a tiny bit of television of late, we’re pretty certain that you’ve come across the commercial spot for the Samsung Galaxy Note LTE for AT&T. Right now, there’s no arguing the fact that it’s simply the best Android smartphone on AT&T’s lineup. 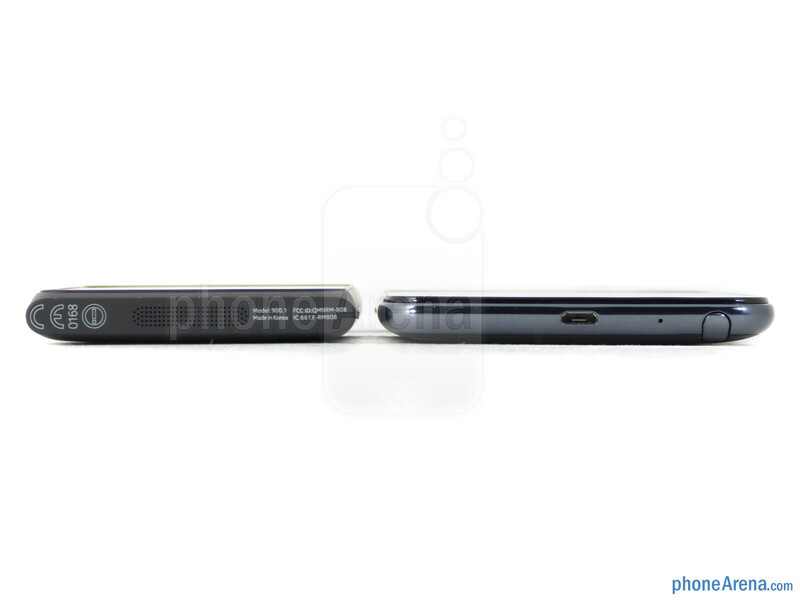 However, the Nokia Lumia 900 is being positioned as an equal offering from the Windows Phone camp. With that in mind, it’s only fitting that we pit the very best from each respective platform against one another, to find out which one exactly has the guts and glory to come away as the champion. 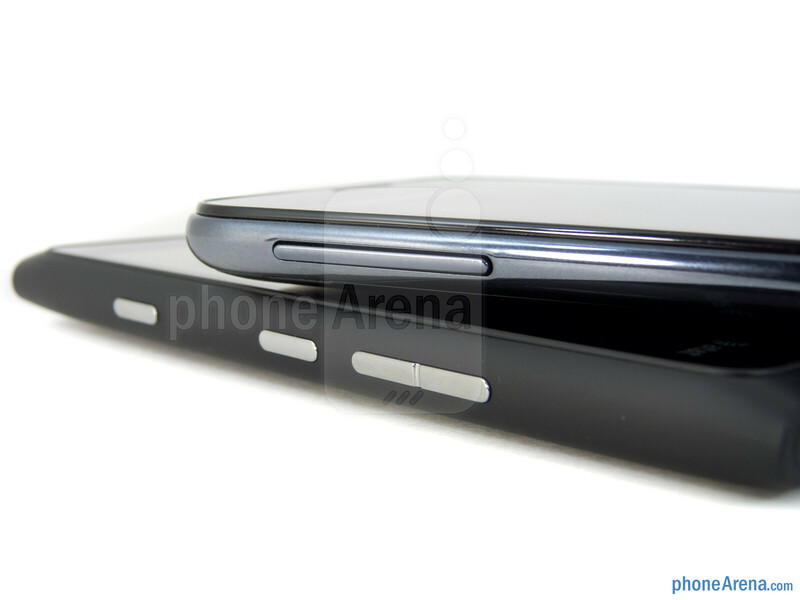 Needless to say, these two smartphones couldn’t be any more different from one another in the design department. 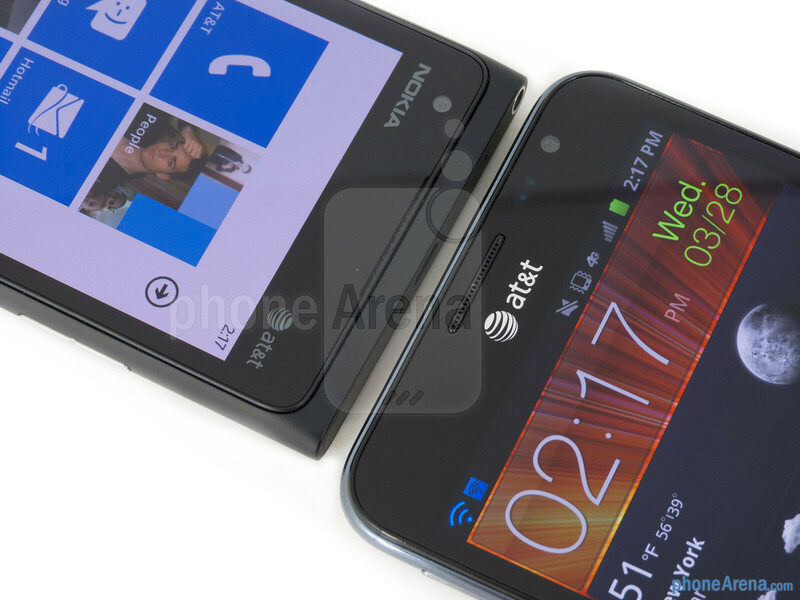 Between the two, we have to admit that the Nokia Lumia 900 has the slight advantage with its fresh appearance – especially when US consumers haven’t been exposed to a device like it before. 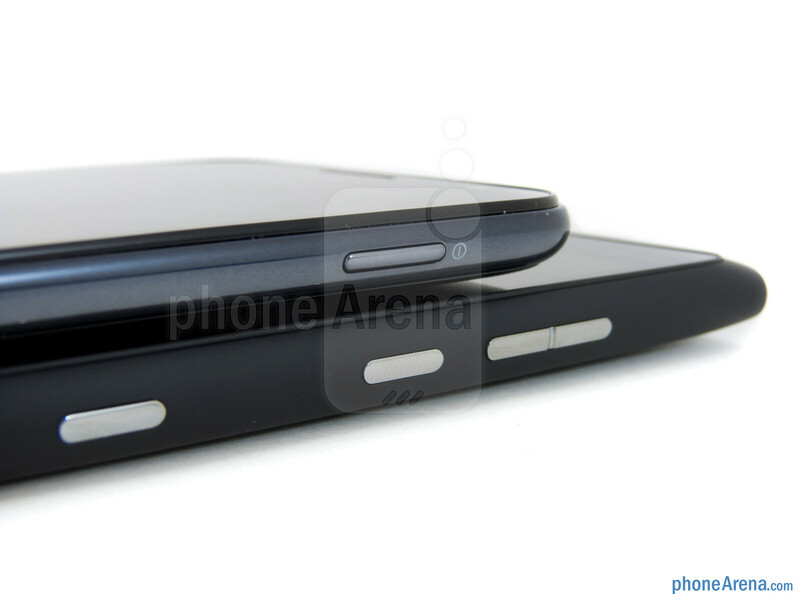 Additionally, the Lumia 900 sports a sturdier feel in the hand thanks to its unibody polycarbonate exterior. On the other hand, besides its ridiculously large footprint, there’s nothing compelling with the design of the Samsung Galaxy Note LTE. 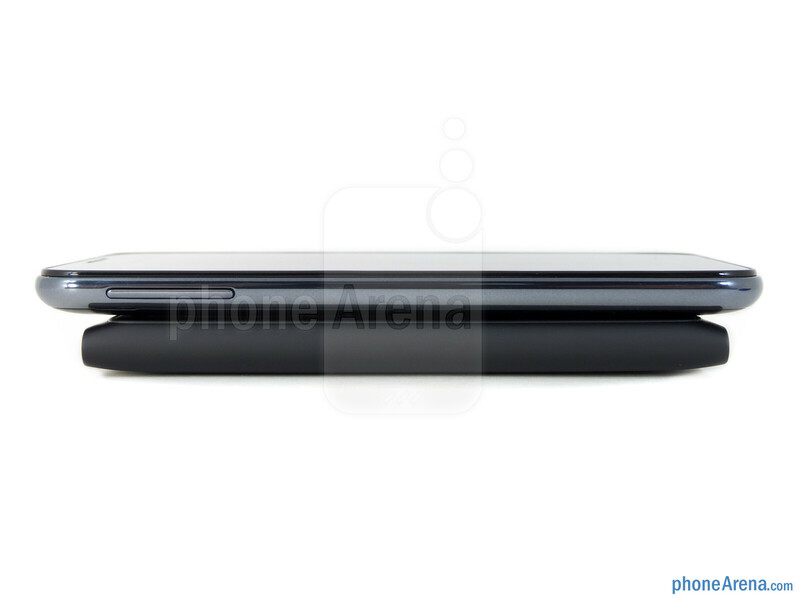 In fact, it seemingly looks like any other Samsung made smartphone before it. 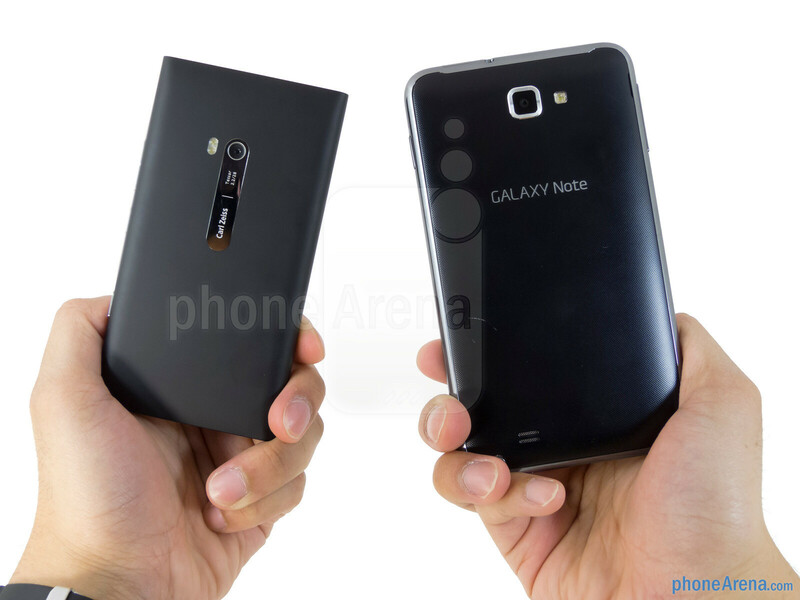 However, its size is what makes the Galaxy Note LTE so fascinating – and essentially, it’s what makes the Note so unique from most things. 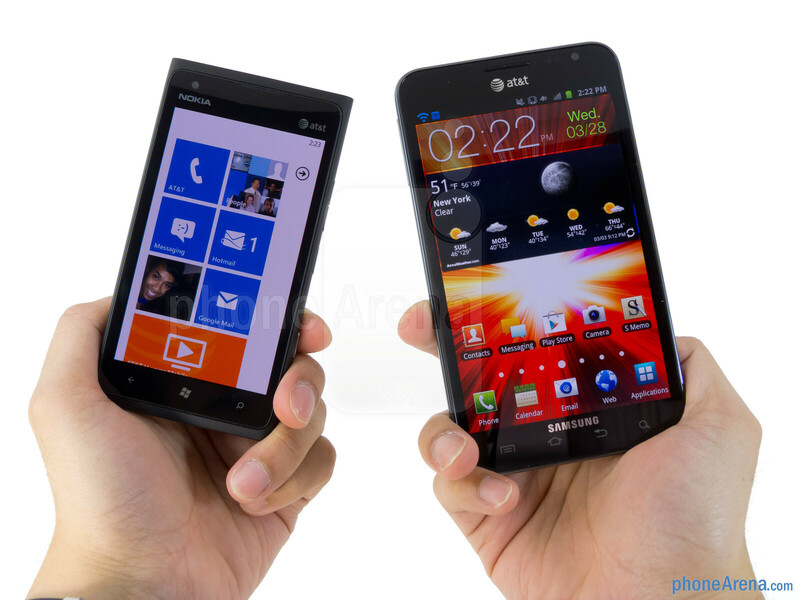 Mainly because they’re raised more, we prefer the volume control and power button found on the Galaxy Note LTE, even more when the buttons on the Lumia 900 are flat to the touch. 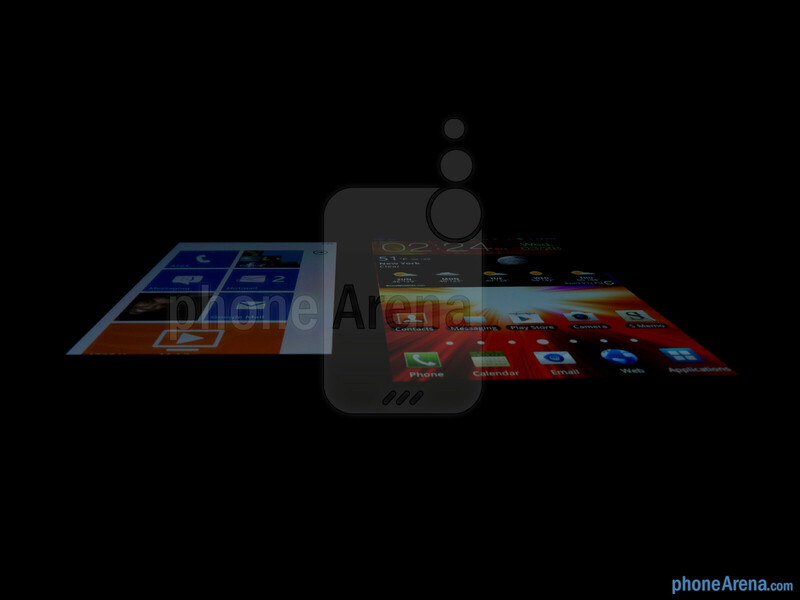 Conversely, since the Galaxy Note LTE’s Android capacitive buttons are closer to one another, we find ourselves pressing them by accident more than the trio of Windows buttons on the Lumia 900. 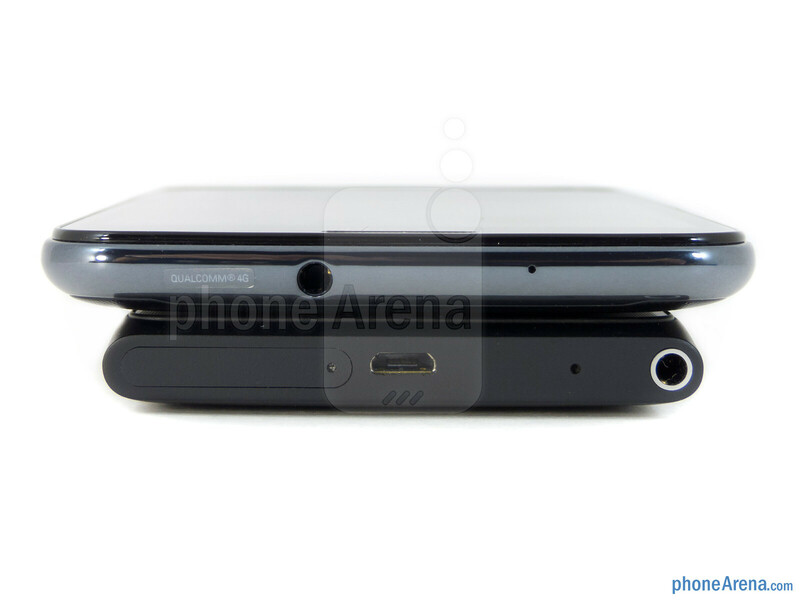 Around the edges of both handsets, we find commonalities such as their 3.5mm headset jacks, noise cancellation microphones, and microUSB ports. 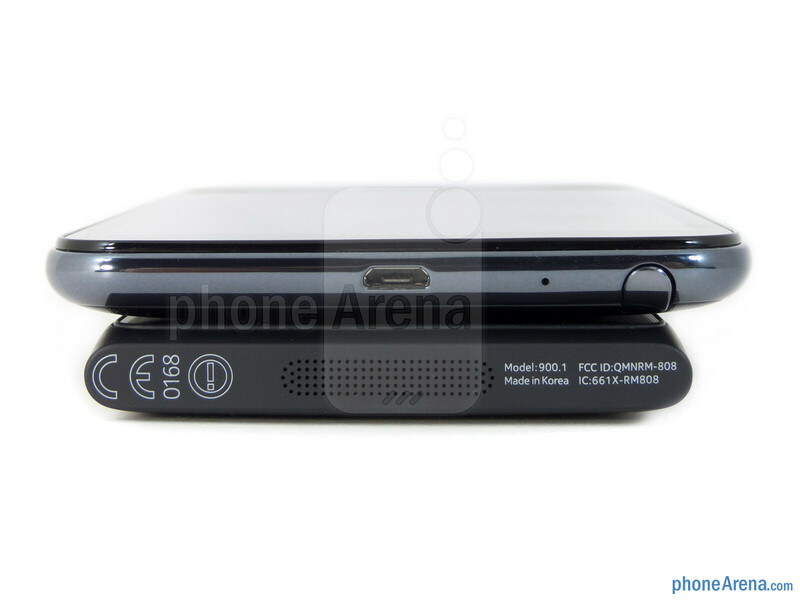 With the latter, the Samsung Galaxy Note LTE also offers video-out functionality with the aid of an optional MHL adapter, which is something that’s not available with the Nokia Lumia 900. Certainly, these two are great candidates to replace your point and shoot camera, since they both size up with 8-megapixel auto-focus cameras. Interestingly, that’s where the similarities end as the Nokia Lumia 900 features an F2.2 aperture lens, dual-LED flash, 720p video recording, and a front facing 1.3-megapixel camera. 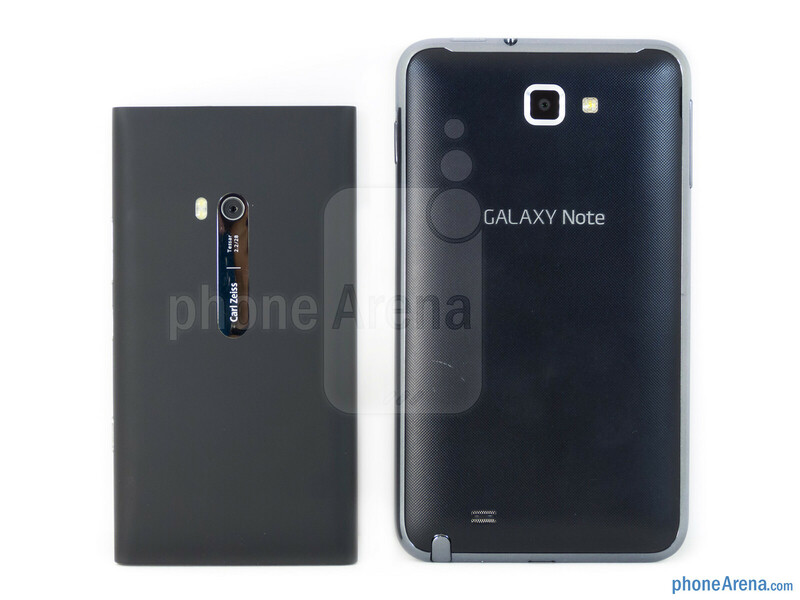 Meanwhile, the Samsung Galaxy Note LTE offers a single LED flash, 1080p video recording, and a 2-megapixel front facing camera. 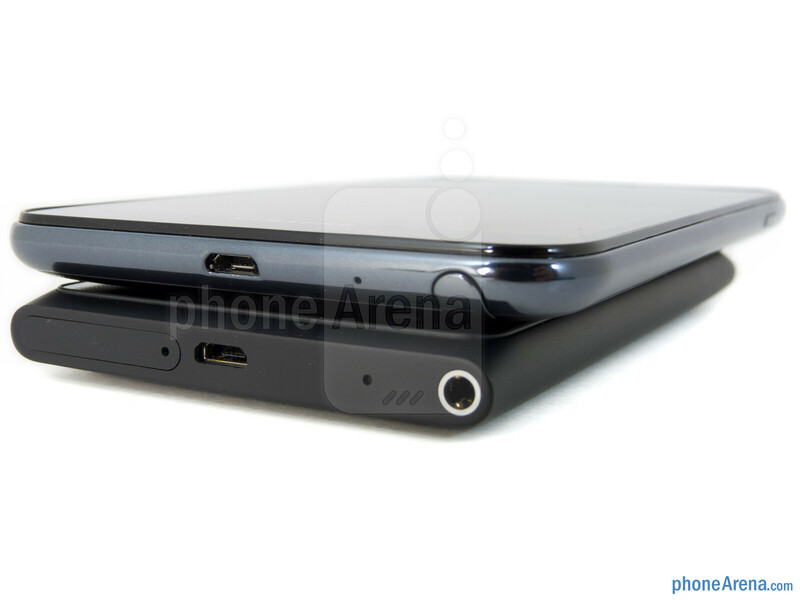 With its unibody construction, there’s no way of easily replacing the Lumia 900’s internal battery – while also having no way of increasing its internal storage as well. 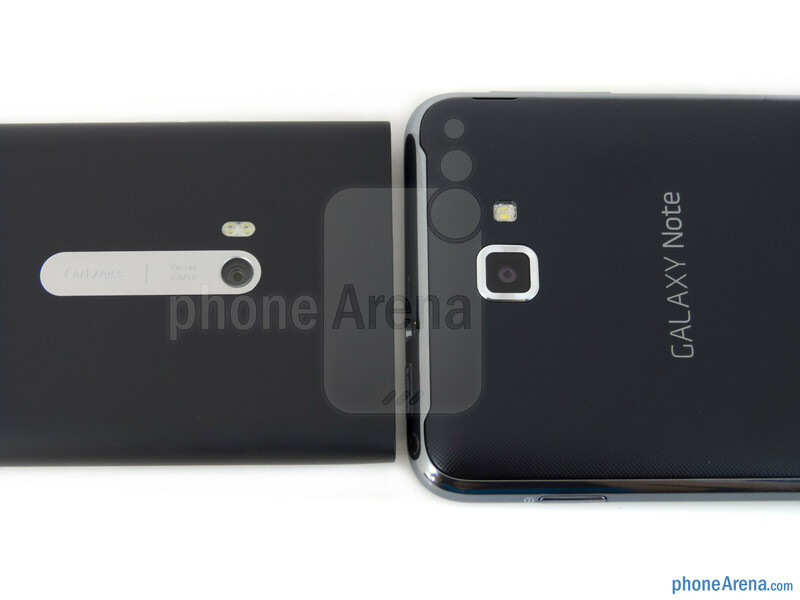 On the flip side, the Galaxy Note LTE has a replaceable battery and an unoccupied microSD card slot to supplement its internal memory. Taking into account that it’s bigger, badder, and more detailed, we prefer the 5.3” WXGA (800 x 1280) Super AMOLED display of the Samsung Galaxy Note LTE. Besides its full 1-inch advantage in the size department, its resolution enables us to even distinguish fine text within the web browser with no problems at all. And to solidify its superiority, its color production is remarkably more saturated in tone to catch our attention. 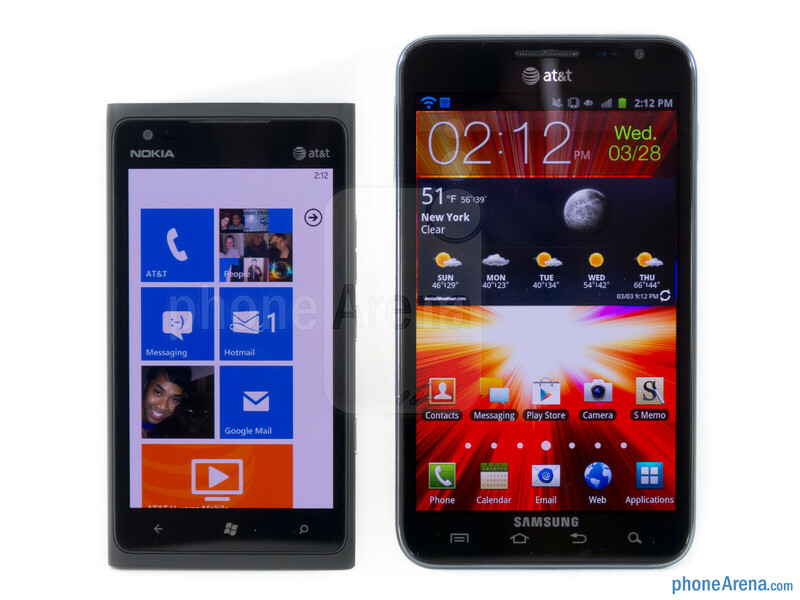 In comparison, the 4.3” WVGA (480 x 800) ClearBlack AMOLED display of the Nokia Lumia 900 is still sharp looking, but it lacks the sheer wow factor accompanying the Galaxy Note LTE. Moreover, its resolution isn’t something that’s perceived to be ground breaking in this day and age – so yeah, it’s not as captivating as its rival. Just a small thing, but I felt like the comparison on the cameras wasn't fair. If you know nothing about cameras the numbers on the Note would look better, but it's not about the megapixels as most know now. It's the lens quality. The Lumia features a Carl Zeiss lens which will most definitely be better quality, plus an aperture of 2.2 for great low light shots and action shots. Yes, probably something small but I felt that should be pointed out. Too bad that Carl Zeiss lens will go to waste on the Lumia; would be nice on a real phone. thats true. but look at the pictures. look at the flower bed and the single weed by itself. 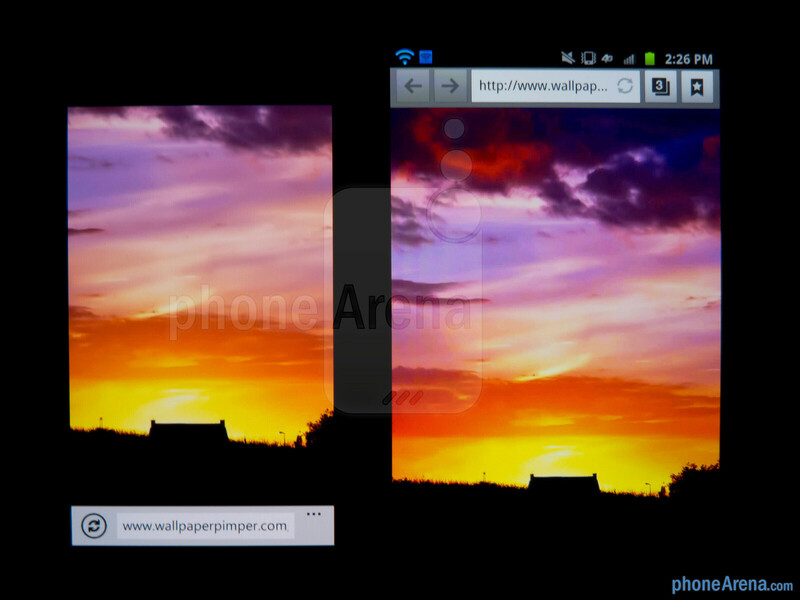 there is very clearly more detail in the samsung's photos than the nokias. 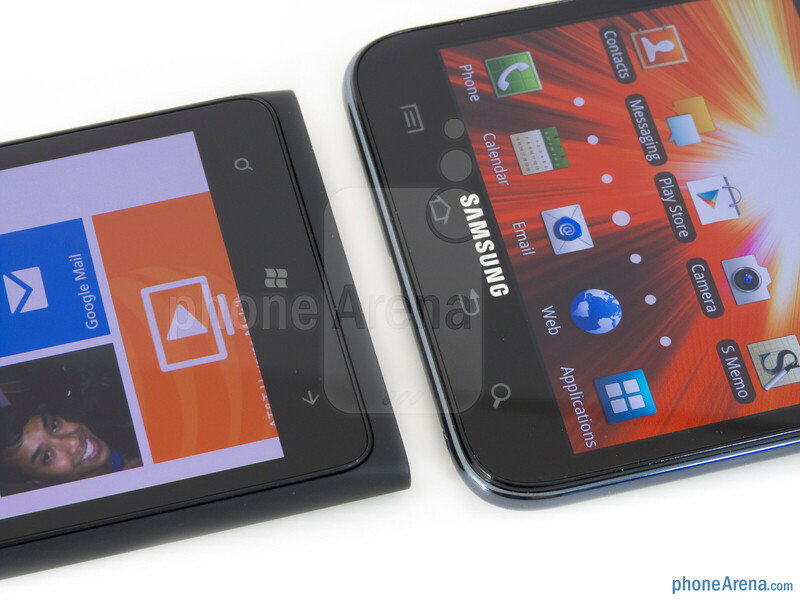 The samsung's is a bit more saturated too, if your into that. Dear Phonearena, I'm one of your avid readers and recently I came upon a fact that your comparison reviews just don't make sense. Like these phones, they have nothing in common, so why would you compare the two products that don't share anything with each other? I agree...Everyone knows Windows Phones are lousy. i agree the note is the best phone bar none right now. however, i cannot place it in the phone category so much as a tablet. it is just not practical as a guys phone to put in his pocket and go. not a one hander for sure. i have big hands and that thing is just huge, (thats what she said). sorry, steve carrol fan. so anyways, the nokia is the winner here if you are looking at the phone side of the use of the note. sorry guys. just my two cents. 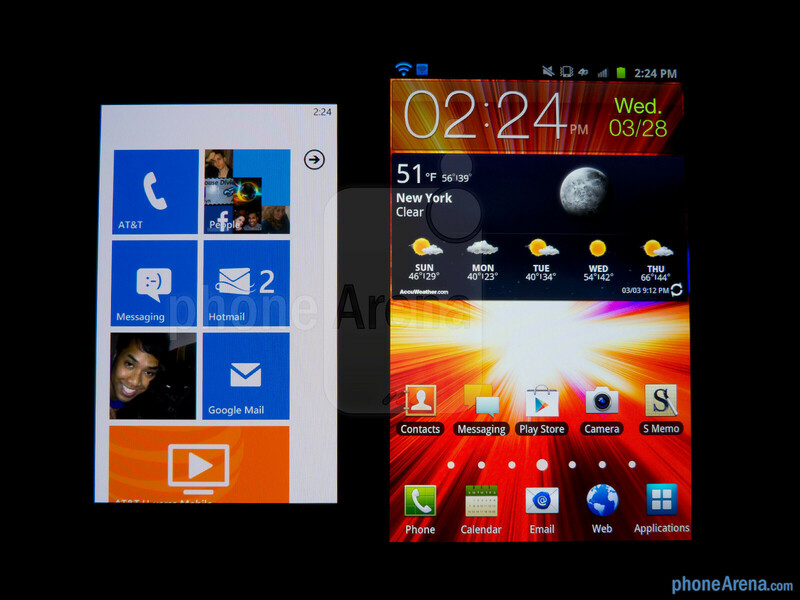 knowing that Window phone is not competitive and will not be selling well (at least for the next few years). Phone maker will not want to spend their time and $ which they think is hard to justify their ROI?? 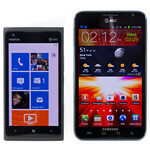 therefore, let Nokia be the "Guinea-pig" to market WP's OS. 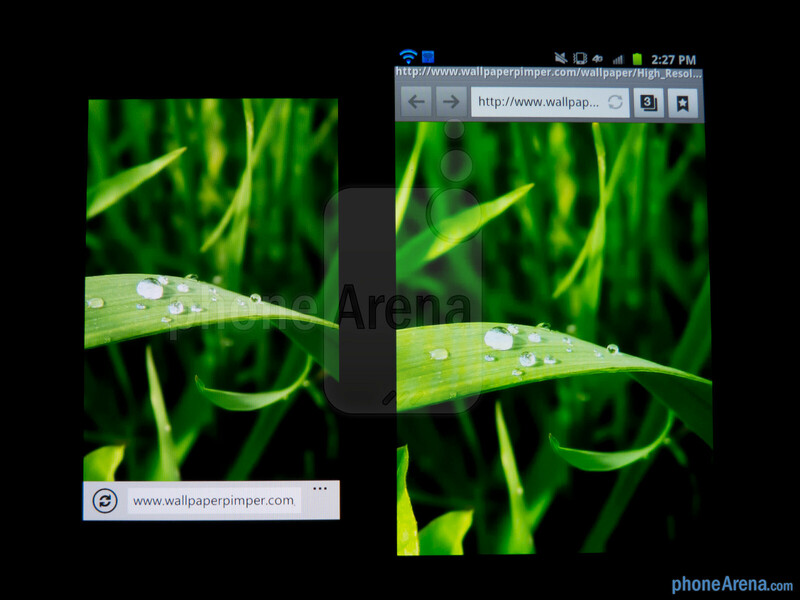 Not really a fair comparison, everyone knows that WP is a better OS than droid. Even with brttwr hardware the Note is slower. 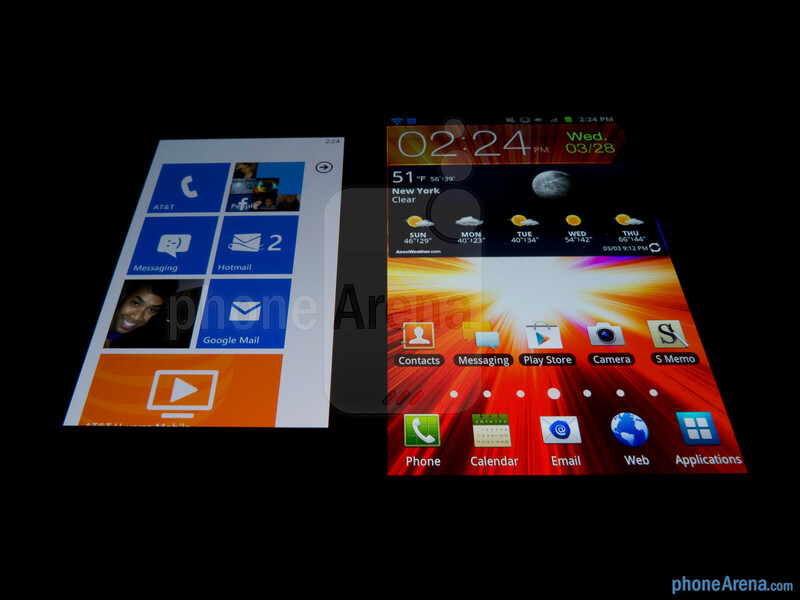 Its big screen is an advantage for resolution but is a disdvantage for portability. Same with the battery life. 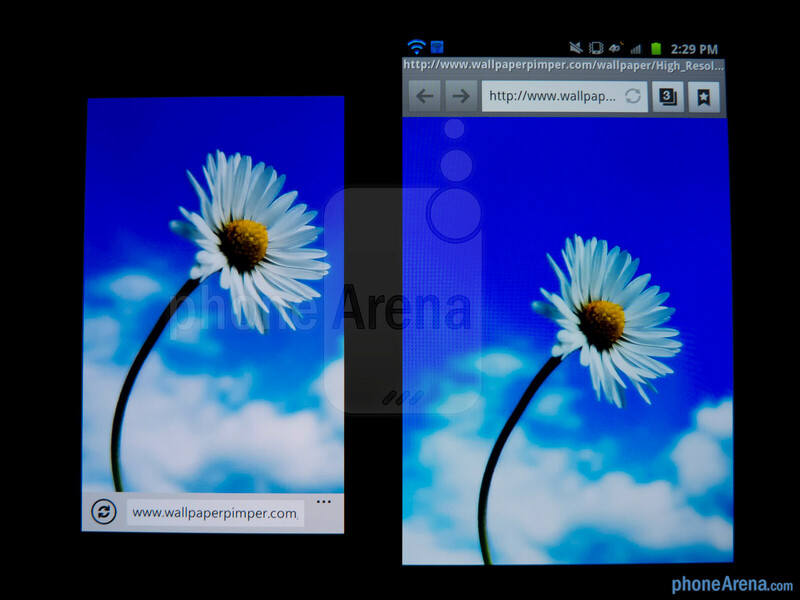 Nice try Samsung but you should've but more effort into your wp's...time to get with the times and a better platform.